Andrew Joseph Kelly was born in 1854 in Dublin, Ireland. He was a Catholic and was unmarried. He died in Sydney on 3 September 1913. His funeral took place at Waverley Cemetery. Andy Kelly was educated at the National School, Dublin. He went to sea at an early age and for a time was a wharf labourer in Liverpool. He went to New Orleans and joined the US navy for three years before returning to Liverpool. Arriving in Sydney in 1881, he became a wharf labourer and was actively involved in the Wharf Labourers Union and the1882 strike. He became a drayman soon afterwards but retained ties with the Wharf Labourers Union and assisted in founding the Trolley and Drayman’s Union, becoming President. With EW O’Sullivan he published the unsuccessful Democrat in 1884. He was President of the Trades and Labour Council in 1889. After 1894 he moved to West Wyalong and later represented the interests of the local miners in Parliament. In 1899 he became licensee of the Exchange Hotel. At the time of his death, he lived at the Royal Exhibition Hotel on the corner of Chalmers and Devonshire streets, Surry Hills. He was a member of the Licensed Victuallers Association. In 1902 he was an Organiser of the Irish Home Rule Movement demonstration. 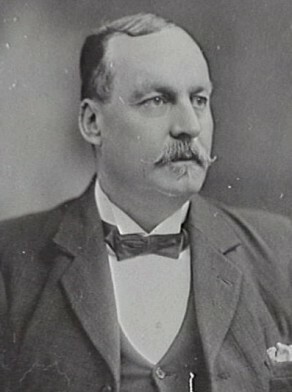 Kelly was one of the first Labor Party men elected to State Parliament. He was a member of the Legislative Assembly for West Sydney, 1891-94, for Sydney-Denison, 1901-04 and for Lachlan, 1904-13. Andrew Kelly was Alderman for Denison Ward, 1 December 1900 to 30 November 1906 and for Pyrmont Ward, 1 December 1909 until he died in service on 3 September 1913. He was a member of the Finance Committee in 1901 and 1904-12, the Health and By-Laws Committee in 1901-02 and 1905-13 and the Labour Advisory Committee in 1901. He was a member of the Electric Lighting Committee in 1901-02 and 1905-10, the Works Committee 1902-13, the Staff and Labour Committee, 1902-03 and the Parliamentary and By-Laws Committee in 1903. He was member of the Labor Party. City of Sydney Archives: Aldermen’s Files; Photos: CRS 54/282; 54/322; and 54/358.